Maarten Michielse is a lecturer critical digital media practice at the department of Sociology at Lancaster University. His expertise lies in popular music, digital media, and remix cultures. In his teaching, Michielse aims to combine and intertwine theoretical explorations of digital media and popular culture with practical-oriented audio-visual skills training sessions. 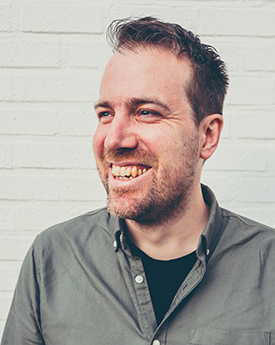 Maarten Michielse's research focuses on popular music, digital media and remix cultures. He is interested particularly in changing notions of (musical) skill and (informal) learning practices in a digital era. What kind of skills do online remixers deploy and develop in their daily practices, for example? What kind of musical and technical challenges do mashup artists face when they create their music? After all, the idea that anyone can make music nowadays or that digital music making is simply a matter of 'pushing buttons' could not be further from the truth. By conducting (digital) ethnographic research and by zooming in on the different practices and practitioners that are part of remix cultures, Michielse aims to reveal some of the misunderstandings and prejudices that exist about digital music making and highlight the complexities of today's musical and creative landscapes. Maarten Michielse obtained his PhD at Maastricht University (the Netherlands) in 2015, with his dissertation ' Remix, Cover, Mash'. The dissertation zooms in on changing notions of skills and (informal) learning practices within online digital music practices. Michielse holds a research MA degree in visual culture at the Radboud University, Nijmegen (the Netherlands). Part of this MA trajectory was spent at the University of Liverpool (UK), in the MA Music Industry Studies. Michielse further holds BA degrees in cultural studies (Radboud University Nijmegen, the Netherlands) and in journalism (Hogeschool voor Journalistiek, Tilburg, the Netherlands). I am particularly interested in supervising projects that deal with one or more of the following topics: popular music, digital media, remix culture, participatory culture, fan culture, social media, nostalgia, analogue revival culture, amateur culture, and viral media.